If you’re a woodworker who is looking to make a wooden joint that is both stable and durable, then you have come to the right place, because we’re going to talk about the benefits of dowel joints. Along with that, we will also review the best dowel jigs on the market, because you surely won’t like making this joint type manually. Although there are different designs of dowel joints, all of them are quite simple when it comes to how they work, essentially dowels are just small wooden pins that are inserted in-between wood so that their connection is reinforced. This joint can also serve as an alternative to screws or nails since they work in a similar way. These wooden pins just need to be coated with glue and then fixated in a small hole that fits the dowel size. Some of these dowels even come pre-made at some stores which make your woodworking project even easier, but sometimes you will need a custom size which will require a quality dowel jig. They may seem simple in construction but it isn’t really simple to make them by hand, especially if you’re just a beginner, but no worries, there is always time to learn. When it came down to dowel jigs the selection was really abundant and as such it really was no problem figure out which model and brand feature the best dowel jig. Going by the reviews, opinions of various woodworkers and of course our own opinion, we really had to pick the Task 07300TK as the best one. We think that it offers you the best bang for the buck in most feature categories, the construction is made out of steel plate which is really good since it prevents corrosion, some parts of this jig are even made out of aircraft grade aluminum. This premium doweling jig is completely self-centering and it offers you capacities of 2 3/8’’, and this model includes two of each size. We saw that the jig has really accurate and consistent drilling which is something that you should definitely look for when buying a jig, the same accuracy remains even with round pieces. For extra security, you have a clamp which can screw itself onto the wood tightly, without damaging it. Another useful thing is the drill guide which has hardened centers on it, this makes the drilling process a lot more accurate. This U.S made dowel jig is great for both professionals and beginners because it offers you precision without forcing you to spend days on learning how to use it. But we have noticed that sometimes you will have problems with clamping it onto wood, as the brushing may cause friction between the collars. If the best dowel jig doesn’t fit your needs, we have another model from Grizzly which performs almost equally at a lower price. This is a new improved version of their older model. It is self-centering jig as well which can support wood with thickness up to 2 inches. Shapes don’t matter because most of them are supported, you can make round, irregular or square shapes. But those sizes are somewhat limited to 3/8’’ in size. The drill of this jig can make holes up to 1/4’’, 3/8’’, 5/16’’, 7/16’’ and 1/2’’ thick. A good feature which we liked is the brushing which is made out of hardened steel, the package comes with 6 of them. Grizzly’s new improved jig can also drill holes which are consistently the same size, so if you’re just starting out and are lacking accuracy, this may be the choice for you. Just as the same jig before, this one also has a really strong clamp that can securely fit on your wooden block without moving at all. There aren’t that many features in this model and because of that, we will only recommend it for beginners. If you’re someone who makes dowel joints almost daily and in a huge amount, you should make your budget a bit bigger so that you can invest in something a bit more professional. We did notice something that was slightly disappointing, although it will not ruin the project for the average woodworker, it might be annoying for some. The brand categorized this jig to be self-centering, flipping the jig over should end mean that the holes should lay out in the same position, but this doesn’t happen. 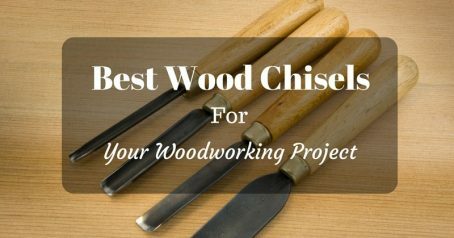 We understand how hard it is to find the right equipment for your woodworking project, most tools will be quite expensive and some may not be the thing you’re looking for. That’s why we’re willing to make an honest and objective review which will help you avoid any situation in which you could waste money. A lot of time is invested to researching the best product and the same amount is spent on looking for third party opinions from woodworkers who sometimes have decades of experience on their hands. Letting you hear both our and their voice is essential for you since it assures everyone that the product that gets reviewed is well tested by people worldwide. The question here isn’t just why you should get a dowel jig which will help you with making dowel joints, you also need to know why you should pick a dowel jig in the first place. Buying the best dowel jig there is won’t do it, you need to be knowledgeable about the product and joint type first so that you can even recommend your friends within the hobby the same dowel joint. The easiest way to connect two pieces of wood together is to simply clamp them together and fill the parts that touch each other with glue. Whilst this may be the easiest way to do it, it really isn’t the most stable way. There really isn’t anything in this joint that can reinforce to connection, there are no screws used and no wooden parts. Dowel joints are superior in this aspect because they use additional wooden pins that come in different shapes. These pins are then inserted in-between the joint which makes it able to withstand a lot more pressure than usual, without breaking with ease. Multiple tests were made by various companies, and wooden joints like dowels and tenon joints came on top due to how strong they are. You can even further reinforce the dowel joints by adding more rows of dowels or by adding more wooden pins. This was even stronger than mortise and tenon joints and it didn’t require any difficult work. But for the maximum strength possible we do recommend that you make the dowel joint with the best dowel jig because it will be far more precise than when done manually. Since the holes that are made within the stock wooden piece are really tight and compact, it allows the small but numerous pins to be aligned properly without allowing anything to move around or slip. This makes the whole construction firm since the pins are guaranteed to not be able to move. Because of this aspect. Dowel joints are mostly used for woodworking projects that make furniture which have multiple frames. Some of the most common objects that use the dowel joint are cabinets and shelves, if they need to support a heavy weight then they surely need an accurately made construction that is stable. In order to make the most out of this positive aspect of dowel joints, you will need a respectable dowel jig that can do the job. 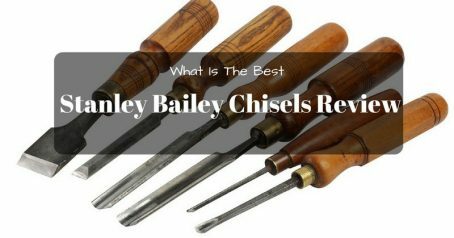 If you’re making holes or even the wooden pins themselves, you will notice that, if done by hand, these parts will mostly end up being inaccurate when compared to the original pin and hole. This makes it necessary to buy a jig which can offer persistent accurate results that can be copied over on multiple projects. Jigs for woodworking are really tough to find, this goes especially for well-made ones. Sometimes if you’re looking to buy a jig for a joint like the pocket hole one, you will encounter prices that can be astronomically high. Of course, every joint has a jig that can do the job while still being placed in multiple price categories. But from all the listed products we have found, dowel jigs seem to be the most cost-efficient ones yet. Most of the good ones will cost less than $50, and if you want something more which a professional would want, you still won’t be spending more than $100. The case wasn’t the same for most wooden joint types, some were extremely expensive, costing you more than a few hundred dollars while offering the same stability that a cheap dowel joint would provide. You will also notice that when making dowel joints with a good jig, you will see that they don’t show any nails since they don’t have any. Even better, the wooden pins that are used to provide a stable connection can’t even be seen once you fully assemble your project. 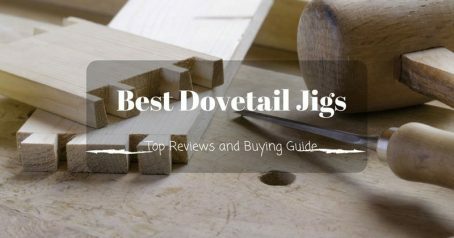 In order to find and review the best dowel jig on the market, we had to spend a lot of time on researching exactly what makes that product the best one. 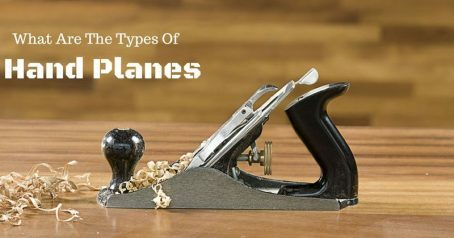 We initially made a list comprising out of the top five dowel jigs currently available, these jigs were reputable enough to be mentioned and talked about on various woodworking internet forums. After the list was made we wanted not only to see the bare specifications of each jig, we also wanted to know what other people thought about them. Most of these people were woodworkers who knew what they were doing; some of them not only had years’ experience within the hobby but with the listed dowel jigs as well. When we formed our own opinion on the models in our, we combined our pros and cons with other woodworkers and chose the two best ones which were reviewed in this article. We also wanted to see how efficient they really were once you use them, and searching videos with detailed explanations weren’t hard to find. If you’re still not content and don’t believe that the first two models were for you, then be happy knowing that there is a wide selection of quality jigs, with some of them being Eagle America’s professional dowel jig. This jig is self-centered as well which makes the holes and accuracy of drilling more consistent. The sizes of holes and pins range from 1/4’’ to 1/2'’ which would be enough for most users. There is no need at all for you to measure or calculate anything here since this jig is easy and accurate enough for everyone. 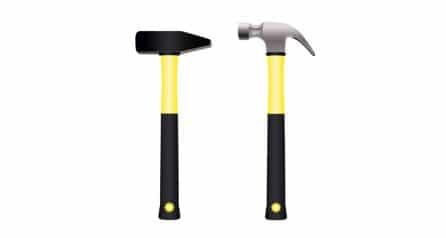 The construction is also quality made and durable as it is made out of anodized aluminum along with hardened steel guides. The thickness of the material used is also wide, as it ranges from 1/4-inch-thick to 6 inches thick. There are also two accurate guide holes which are made for the bushings. This enables you to drill holes of up to 3 different sizes. This is the best dowel jig when it comes to portable ones. Since it is portable you don’t have to worry about extreme shipping prices or how heavy it is when you use it. But we have to say that since it is small and compact you will have less stability compared to other stationary models. But even so, for a hand-held jig, you can still precisely place it and line it up with the holes that you’re going to drill. When drilling the holes, you have an average range, going from 1/4’’ to 3/8’’. Apart from being good at drilling accurate holes, it is also good when it comes to repairing existing dowel joints that aren't accurate or consistent. But a good number of people complained that it was hard to use it at first. It was difficult to use because the jig moved sometimes when the bit was applied. If you really want to spend the minimal amount of money possible on a dowel jig, then this is a good option for you. The small price limits this jig greatly when it comes to the number of features it offers, but for home-use and beginners who want to use it just once, this is perfect for you. Carpenters won’t like this dowel jig as you’re limited to a single 3/8’’ bit when using this tool, but if you’re starting out it won’t really matter. You will also have to spend additional money on clamps so that you can tighten this jig onto the piece of wood. Using this jig without a clamp would be catastrophic since the end result would end up being severely inaccurate due to the lack of stability. We did mention that the wooden pins of the dowel joint are really simple in design, but besides that, you will also enjoy the simplicity when it comes to using a jig to make this wooden joint. If you have previously made dowel joints with your own hand, then with a jig you won’t have to spend hours and hours on finishing your projects anymore. Not only that the whole process will be a lot more accurate due to it being automatic, you will also find consistent results. This is important since you will be making multiple holes and wooden pins when making your project, this goes especially for furniture projects. And you won’t have to mark everything down and calculate measurements since the jig eliminates all of that. 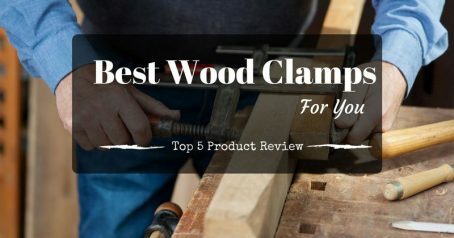 In the end, you will also notice that it is a lot more stable to work on your project since you will have clamps you will be able to tightly connect the jig with the piece of wood, which makes the results even more accurate. Nothing will move anymore since it’s going to be held really tight, you won’t have to worry about accidentally pushing anything anymore.